Every motorcyclist should know the dangers of getting involved in an accident. Since there is no protective cage or airbags to protect the rider, most accidents that involve a motorcycle usually end up bad for the rider. That being said, safety should always be the number one priority. Once you get involved in a motorcycle accident, it is too late to change anything. Here are the most common injuries following a motorcycle accident, and the type of compensation that you can receive after an accident. Other common injuries that occur almost at every motorcycle accident are fractures, burns, and broken bones. Due to the fact that motorcyclists have almost no protection from a direct or side collision, they are exposed to impact, with the only helmet protecting their head. Since most motorcycles are heavy, having it fall on your leg will easily leave you with several broken bones and fractures. Falling down from a motorcycle and sliding down the road can cause skin burns, as well as expose you to the moving traffic, leaving you vulnerable for another direct impact with one of the passing vehicles. In these situations, fatality rates are very high. If you got involved in a motorcycle accident as a result of someone else’s negligence or distraction, speak with a San Diego Motorcycle Accident Attorney today; schedule your consultation and receive advice and counsel on your next move. If everything proves to be right, you will be able to obtain the compensation for your injuries. It is always a wise choice to consult with legal experts before filing a claim. 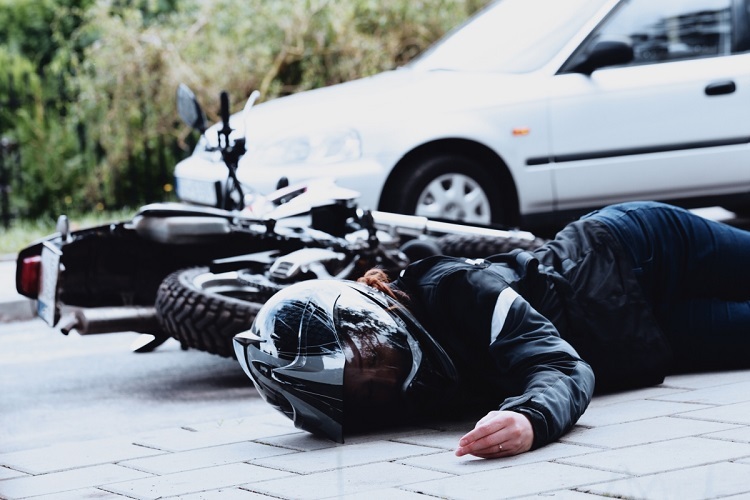 Do not hesitate to call a Motorcycle Accident Attorney in San Diego at Law Offices of Eugene Bruno right after the accident and seek legal representation and counseling. You only have one chance to do everything right.